This hotel has been around for a while and has always intrigued me but somehow I have never stepped into Tiara, the all day dining restaurant at Meluha -The Fern, Powai. A Sunday Brunch seemed the perfect day to remedy this. The restaurant exudes a warm and cheerful vibe and the natural light filtering in, adds to the charm. Comfortably seated at a table overlooking the road, I glanced at the buffet spread and was mesmerized. Lamb, chicken, fish, pork – all of these were on offer in various forms. The salad counter was exhaustive and offered a plethora of choices- both vegetarian and non-vegetarian. The live stations included a pasta counter, a pancake section and even eggs. It was fun to watch chefs rustle up dishes a la minute. The starters and soups arrived on our table. The celery and parmesan soup was soulful. The cheesy flavours were distinct and delighted my taste buds. The starters especially the mutton seekh and pine chicken were outstanding. The flavours were robust and the meats, well-spiced and cooked to perfection. The salads were fresh and the ingredients used of a superior quality. The crunch textures were refreshing for the palate. I enjoyed the mains as well with the roast chicken being my favourite. Well-marinated, it was aromatic and flavourful all the way. The pork could have been a bit more moist. The curries were delectable as was the Murg biryani, one of the finest I have savoured in a long time. What can I say about the desserts? These were a feast for the eyes. Tiramisu, baked yogurt, gulab jamun cheese cake, chocolate cake, fruit tarts and more. The spread was an exercise in choices. I gave in to my guilty pleasures and tasted some of these. Each was better than the other. The food at Tiara surpassed my expectations and perhaps it had to do a lot with the new Executive Chef Prashant Tiakdia, who is an experienced hand. Together with his team he was surely wowing the palate of his diners. The service is impeccable and the staff well-informed and articulate. When a national level archer makes a foray into chocolates you know she means business. 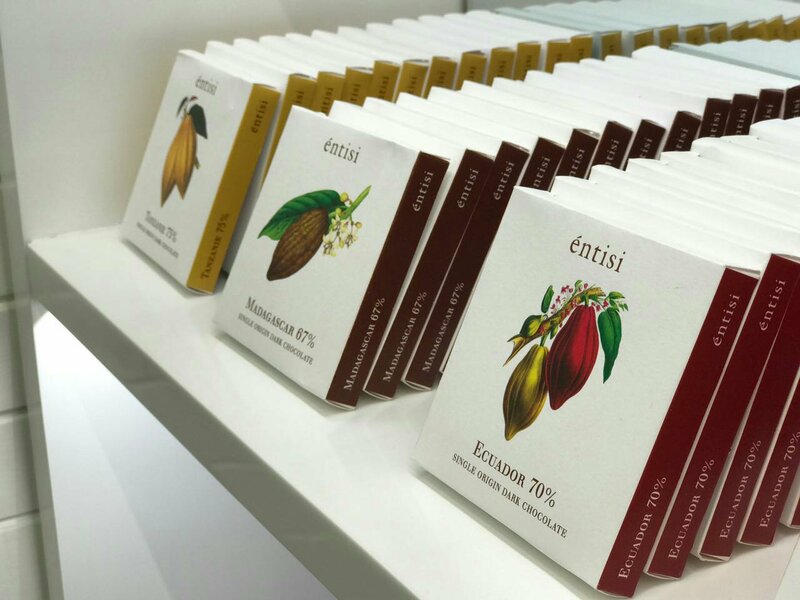 Entisi is a premium chocolate brand in Santacruz West Mumbai, using the finest ingredients around the world. In a span of only 5 months Entisi has managed to carve a niche for itself courtesy the determined lady behind it- Nikki Thakker. The range is vast and the offerings varied.. From single origin chocolate tablets from Madagascar, Tanzania, Ghana and Ecuador, to bars with freeze dried fruits, bonbons (soft centered chocolates) with exotic flavors like raspberry, ginger lime, truffle oil etc., dragées (whole nuts coated with chocolate), chocolate spreads Entisi offers them all. The fusion of indigenous spices, flowers, roots and herbs with premium chocolate sets them apart. 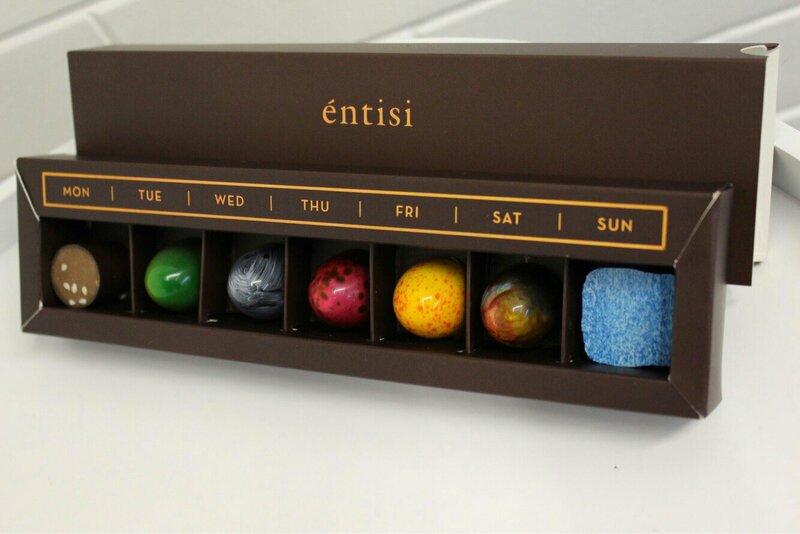 With technology imported from Italy, Belgium and United States, the Entisi chocolate lab is equipped with the finest machines. Perfect for gorging on or gifting, there are a myriad options. And these are easy on the wallet too. The fruit and nut bars with salted pistachios, hazel nut, banana with salted caramel are make for a great gift. 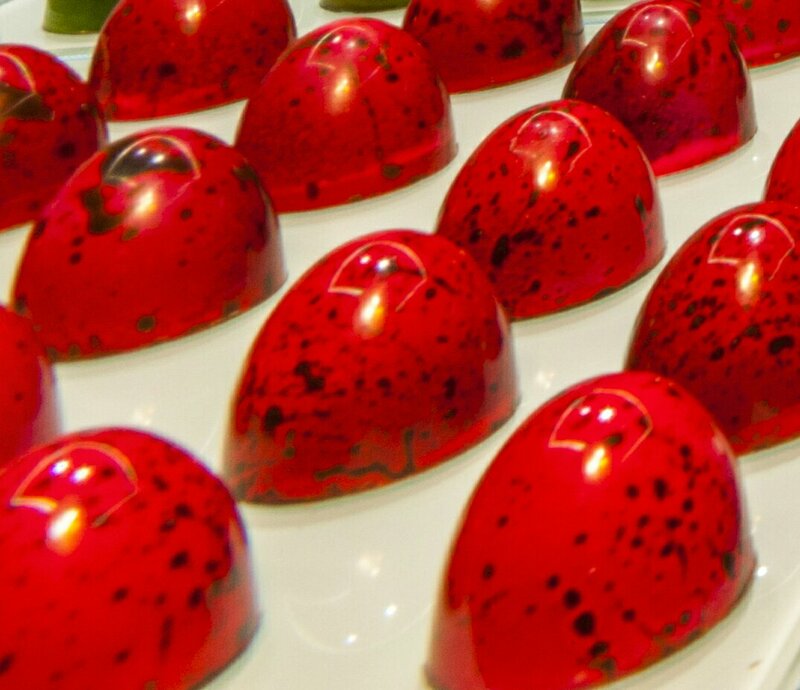 Bon bons come in aesthetic boxes which are immensely appealing. Choose from raspberry, kesar pista if you enjoy desi flavours. Else opt for sesame squares, mango passion, coconut or ginger lime. There is something for every chocolate lover. A cute little store with well trained staff it is a pleasure to step in and buy chocolates. My visit here was akin to a little girl in a candy store. I was mesmerized and confused. I certainly need to go back again soon! 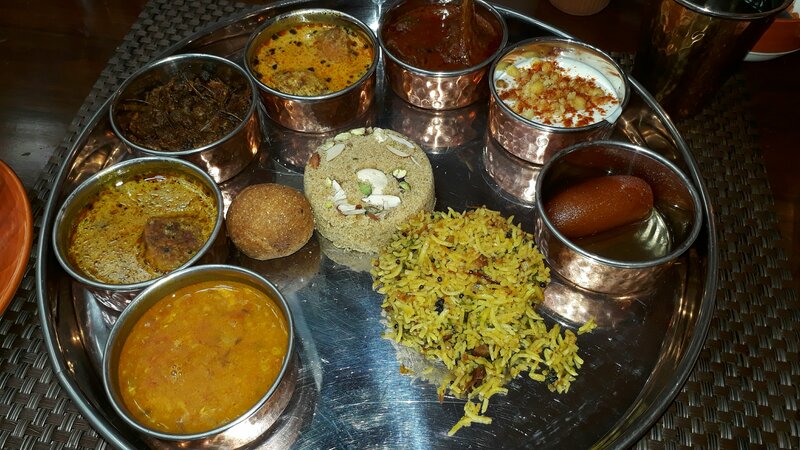 Rajasthani food is an extension of the rich culture of this State. Rustic and robust flavours, spicy food made with copious amounts of ghee is what comes to one’s mind when we think of Rajasthani cuisine. Baluchi the Indian restaurant at The Lalit Mumbai is hosting a Rajasthani food festival till September 30 for lunch and dinner. Chef Gajendra Shekhawat from The Lalit Jaipur has specially come in for this. I opted for a non-vegetarian thali and the vast array of items that appeared as part of it left me spellbound. Ker sangri, lal maas, a fish preparation, panchmela dal, mangodi pulao, bajra roti, gatte ki sabzi, boondi raita, dal bati churma and more. Whew! That was a lot of food. I embarked upon my culinary expedition albeit with a bit of trepidation. The lal mass was spicy and well-coooked. My palate ached for more with every bite. Originally deer meat this meat now being banned lamb is what is used. The ker sangri got my vote instantly. Swathed in mustard oil with typical spices, the ker sangri was of a crunchy texture yet melt in the mouth. The panchmela dal was cooked to perfection with garlic and the texture of the ground green moong was unparalleled. The gatte ki sabzi was expectedly delicious. Chef Shekhawat established h8s mastery over his craft with each dish being authentic, rustic and home style. My fears were allayed. There was no discomfort or heaviness. The food was rich but only in flavours and textures. What gave an edge to the food here were the masalas and ingredients wh8ch Chef Shekhawat had painstakingly prepared and xarried from Jaipur. No clever substitutes or short cuts here. The yogurt, coriander seeds, mustard oil and ghee used in this cuisine were evident in each bite. I walked out satiated, my taste buds sufficiently tingled. I could not thank Executive chef Parimal Sawant for inviting me. In fact cajoling me to come. Else I would have deprived myself of this unique treat. Priced at Rs 1499 for a vegetarian thali and Rs 1699 for a non- vegetarian thali I think these are absolute value for money and more. Mumbai is inundated with new restaurants, gastro pubs and cafes. Professionally, one ends up visiting many, but it is only a few which leave a lasting impression and beckon you again even for family meals. Bake House Cafe, Kalaghoda, in the recent past has been one such place that has caught my fancy. British art running along the walls, extending to the leather upholstery, creates the quaint and easy-going atmosphere of a British café right in the heart of Kalaghoda. Apart from the spacious seating area downstairs, there is a beautiful wooden steps going upstairs where there is more seating. The area on top is more for leisurely dining and relaxing with friends or perhaps even working. Expect classic as well as European comfort food, made with quality produce here. The food is simple, although new flavours and little detours by talented Chef Zeeshan Jamal liven up the reasonably-priced menu. Offering breakfast, pizza, burgers, mains, desserts, salads and soups, this place is suitable for any time of the day. The organic black risotto rice, cheddar mushroom and asparagus omelette and creamy spinach and caramelised onion pizza deserve a special mention. At pocket friendly prices, this place focuses on Breakfast, Lunch, Dinner and everything in between. The menu consists of sections in details like Breakfast, Soups, Salads, Small bites, Main courses, Pastas, Pizza, Burgers, Sandwiches, Milkshakes, Juices and more. Whew! That sure, is a varied menu. The Three Melon Feta Salad, was fresh and flavourful. The Butter lime garlic prawns were fresh and the garlic added a touch of zest while the lemon gave it the requisite tangy flavours. The Gymkhana sandwich was well-made, full of familiar flavours and satiating too. Other dishes worth trying by Carnivores are Almond Crusted King Fish, Grilled Indian Salmon and the Tenderloin Steak. There are ample options for vegetarians too. The pizza here is strongly reminiscent of the ones at Indigo, Colaba. The Chef has after all worked there. The Breakfast menu is tempting as hell and one needs to step in exclusively to relish a breakfast here one day. I certainly plan to do that. The food here is made with superior quality ingredients and the flavours shine through effortlessly. The presentation is good but the food, simple and unpretentious. There is a vast array of desserts to choose from. The Banoffee pie and Croissant bread pudding caught my eye. The pudding was typically home style and left me speechless, while the Banoffee pie, albeit well-made, paled in comparison today. I left this cafe, satiated and pleased, as the food here surpassed my expectations.